This book brings together the chemical strategies used in the optimisation of organic reactions and processes, and highlights the practical and technological options available. This book offers: * an encyclopedic treatment of organic chemistry from an industrial, process research and development, and manufacturing point of view * plenty of examples to illustrate the scope and limitation of the strategies * a comprehensive index organised by topic, reaction type, and reagent * an extensive literature survey. 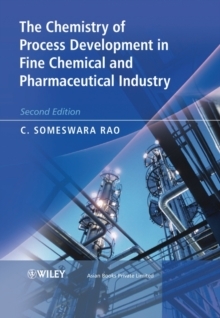 This is an essential and comprehensive guide for experienced practitioners of chemical process research and development, fresh recruits to chemical industry R&D divisions, and academics who are interested in interacting with the chemical industry, optimising their synthetic strategies, and enriching the field of atom economy.